Cambridge Islamic Sciences: "Halal Mortgage" - Shariah-Compliant or Islam-Compliant or Neither? "Halal Mortgage" - Shariah-Compliant or Islam-Compliant or Neither? Generally, many of us assume that anything which complies with the Shariah also complies with Islam. But this is not necessarily the case. There is a huge difference between the Shariah (law, rules and regulations) and Islam (submission to Allah). Someone may follow the rules of the Shariah to the letter but not actually be fulfilling the requirements of Islam. This is borne out in the story of the Children of Israel who used the rules of their Shariah inappropriately and transgressed the limits set by Allah. What they did amounted to playing tricks with their religion and this caused them to be the object of Allah's wrath and anger (refer Qur'an 7:163-166). Today there are so many "Shariah-compliant" products and services particularly in the banking and finance industry. It is sometimes so confusing even to determine whether they are really Shariah-compliant, let alone whether they are "Islam-compliant". One such example is the "halal-mortgage" offered by both "Islamic banks" and multinational and global financial institutions. There are many variations of these "halal mortgages". The big questions for us are whether they are Shariah-compliant and also whether they are truly in keeping with Islamic ethics and principles or they are merely tricks played in the name of Shariah. 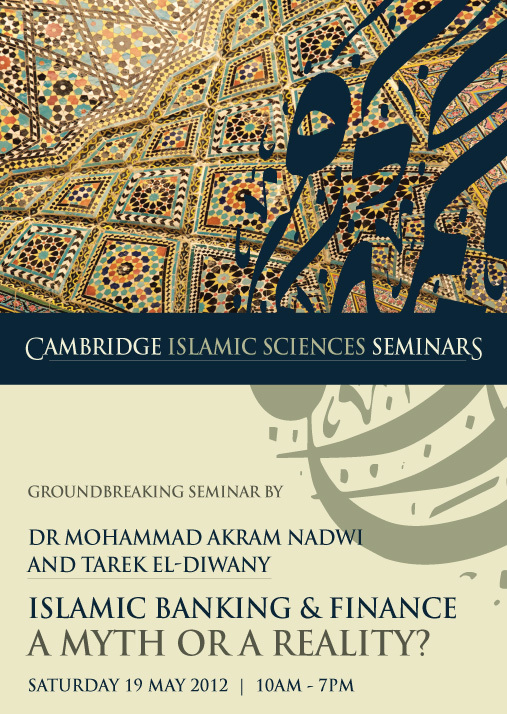 The forthcoming seminar, Islamic Banking & Finance - A Myth or A Reality?, takes a radical look at this whole industry in a way that has not been done before in the English language. Most Islamic banking and finance seminars (often organised by the industry itself) take the assumptions for granted and discuss matters based on these assumptions. This seminar will address the very assumptions and the core principles of modern Islamic banking and finance and not take anything for granted. This a seminar for finance professionals as well as for ordinary people who are just concerned about the "Islamic compliance" of those products and services. Only two days to go, book your place now.